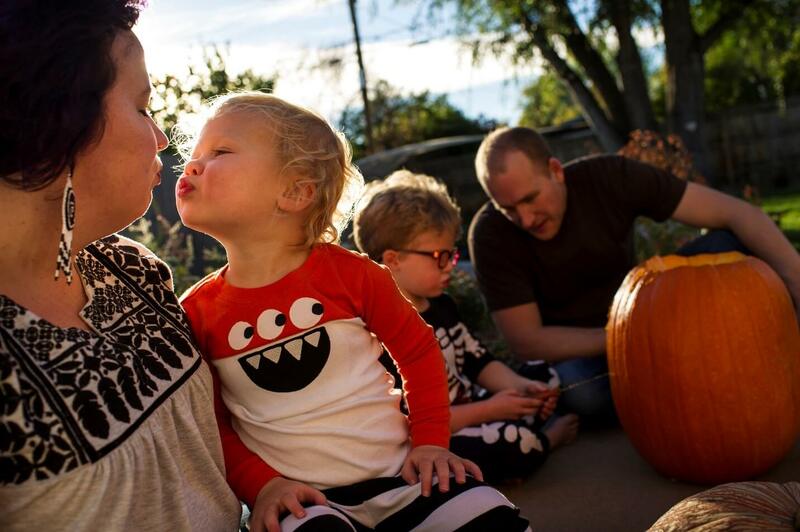 Photographer Chris Orwig starts making Halloween photos before Halloween starts. Some families spend weeks getting the perfect costume together. Photographing the preparation is the perfect opportunity to document the in between moments before all of the chaos and fun of Halloween begin. In the photo below, Chris spayed his daughter’s hair pink then stepped back and captured this frame, which shows an important part of what goes into making Halloween successful in a different way. 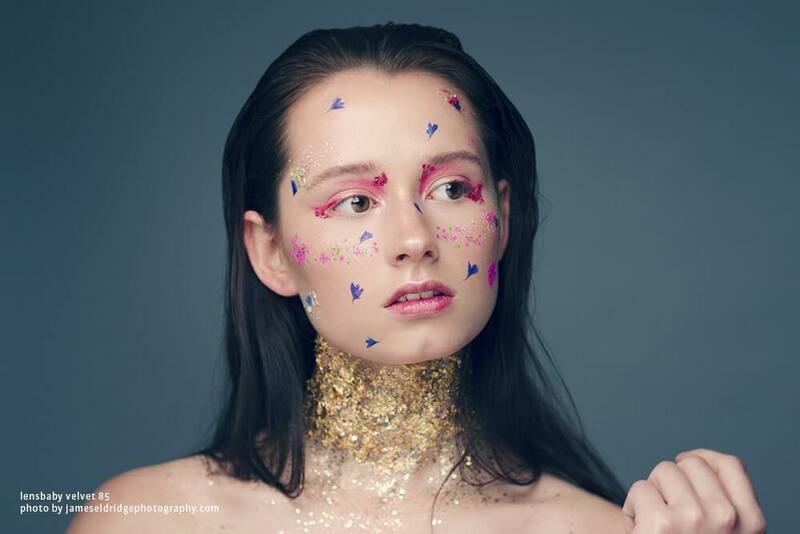 Chris teaches his approach to photography in his multiple CreativeLive courses. Halloween is as much about the costume as it is about the person wearing the costume. 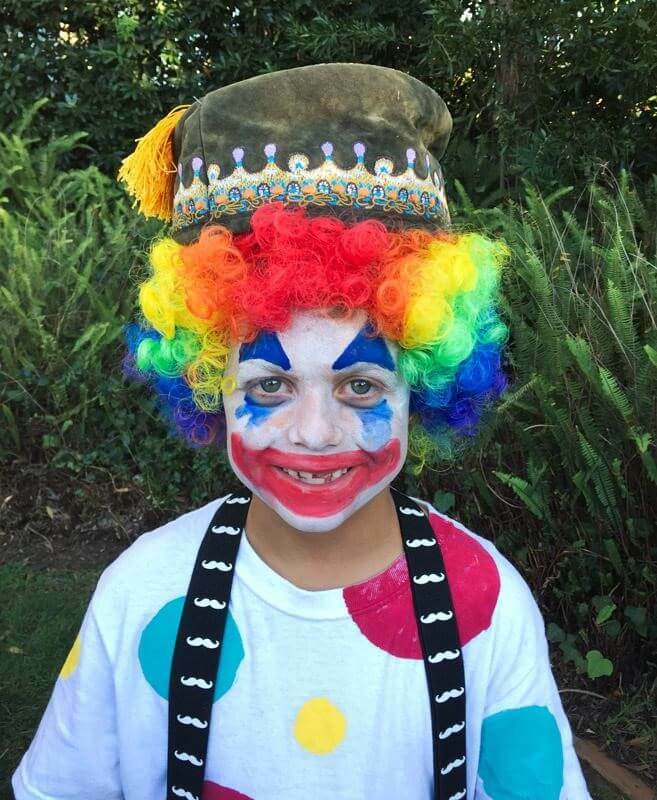 Move up close to really capture your child’s personality but then be sure to step back and capture the whole costume. 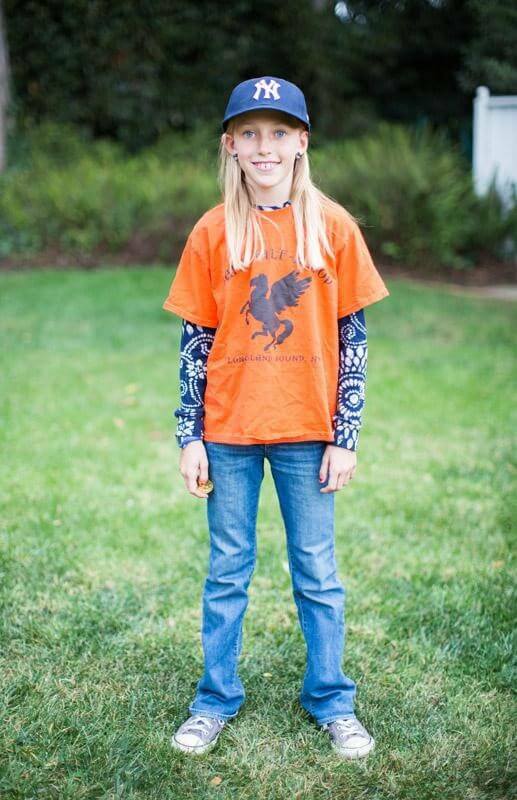 Here is Chris Orwing’s daughter dressed up as Annabeth from the Percy Jackson book series, showing both her full costume and capturing how happy she is to be wearing the costume. Chris Orwing likes capturing his kids together while the sun is still out, having them stand close. 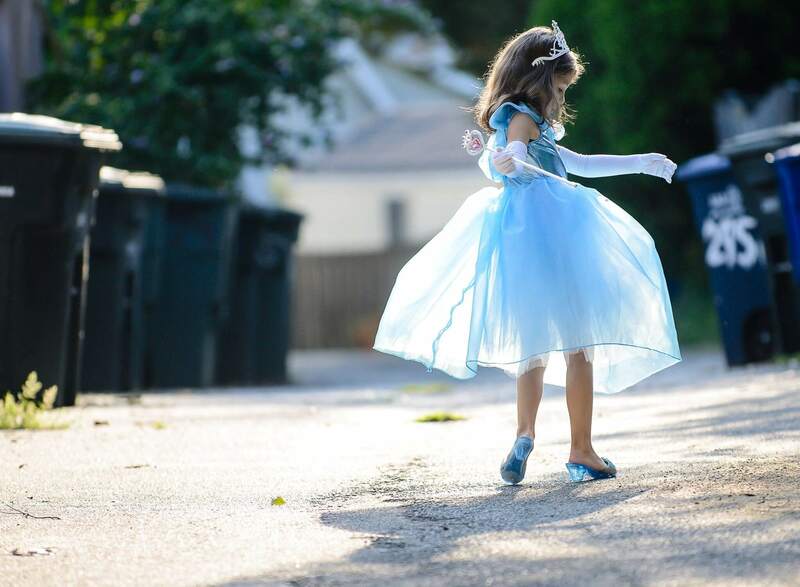 These photographs make for wonderful keepsakes, even if their costumes aren’t always matching! This works well for adults heading out to Halloween parties as well. 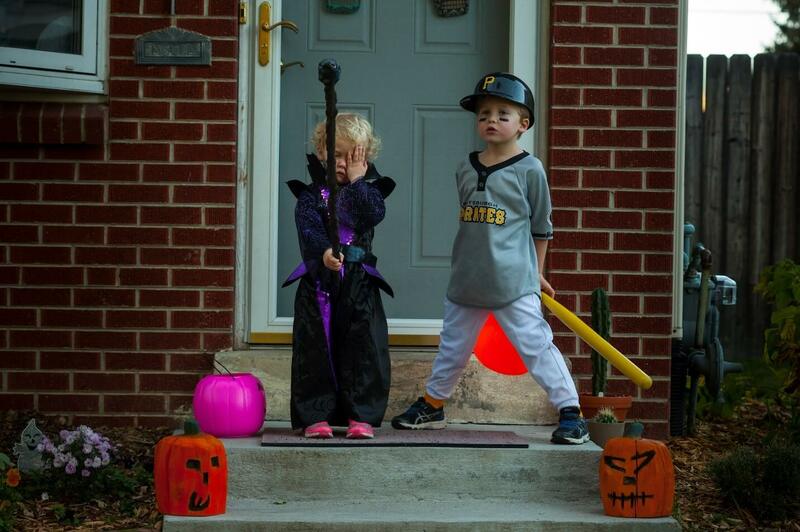 Everyone wants a great picture of their child (or themselves) in costume, but not everyone has the skills to make a good photo. Chris Orwig loves capturing photographs like this one as the perfect gift for a friend who would never be able to make a great Halloween portrait on their own. 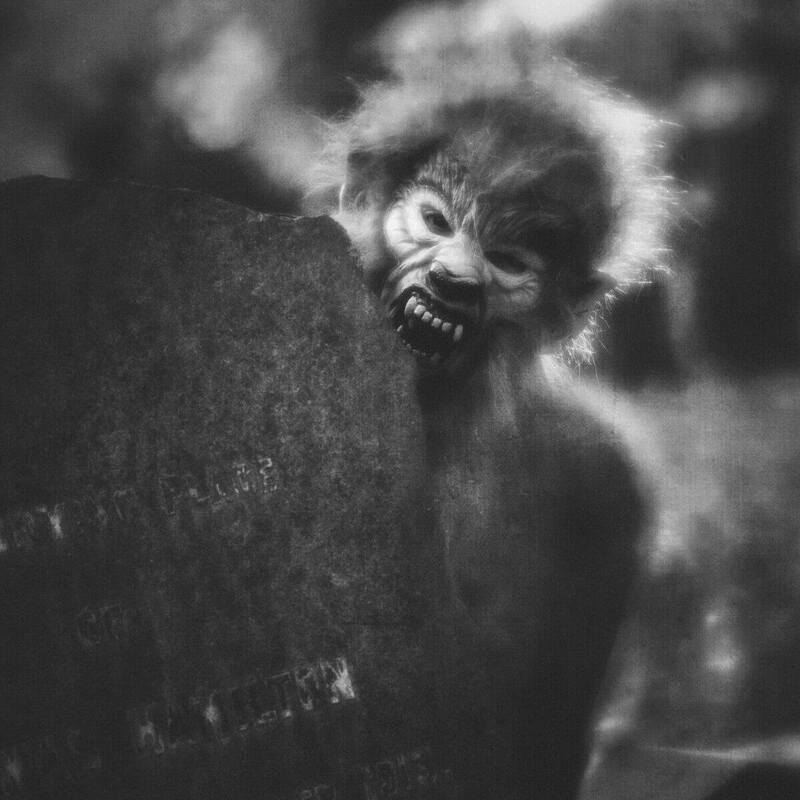 Chris Orwig recommends looking for appropriate backdrops of Halloween photos on the street. 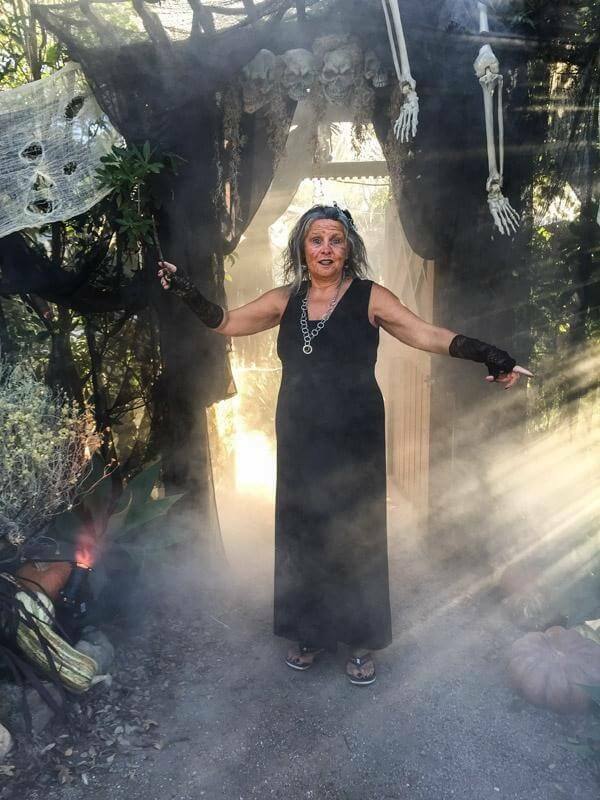 This photograph of Bellatrix Lestrange from Harry Potter was made by looking for the perfect spot to compliment her awesome costume, which Chris found in front of a neighbor’s decorated gate. Bellatrix stepped into the fog and Chris captured this photograph as we walked by. Always be on the lookout for fun and interesting decorations that might become the perfect backdrop or scene for a photo or two. 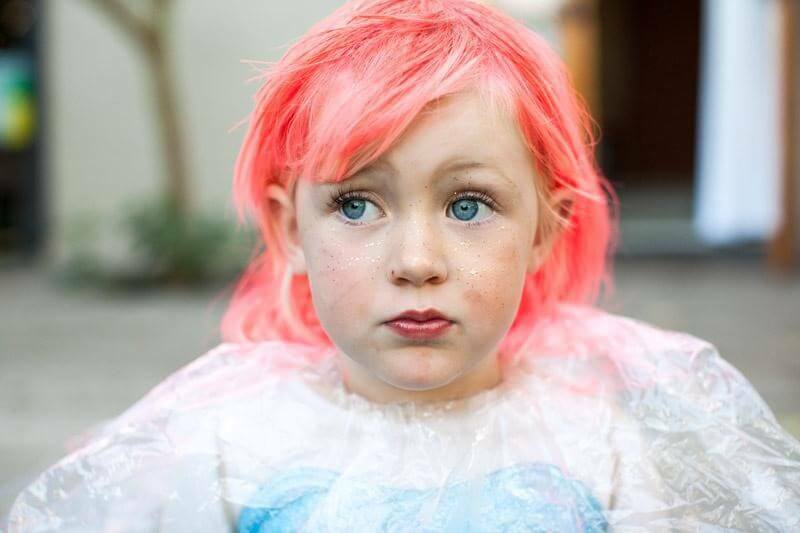 Documentary photographer Kirsten Lewis’s best piece of advice is to photograph what it feels like for kids on Halloween. Try to get their faces when they FIRST see themselves all dressed up. Try to make pictures of the reaction to all of the candy they have in their vessels. Show that EVEN THOUGH the kids are celebrating a holiday, they are still kids. They still get tired, cranky, have temper tantrums, cry their makeup off, etc. Don’t be afraid to make pictures of this. Kirsten’s favorite Halloween picture from her own life is of her sister, grandmother and herself all dressed up and my sister looks ABSOLUTELY miserable. It cracks her up every time she sees it and reminders her of what the night felt like. Imperfections and all. Kristen teaches more about her documentary approach to family photography here. 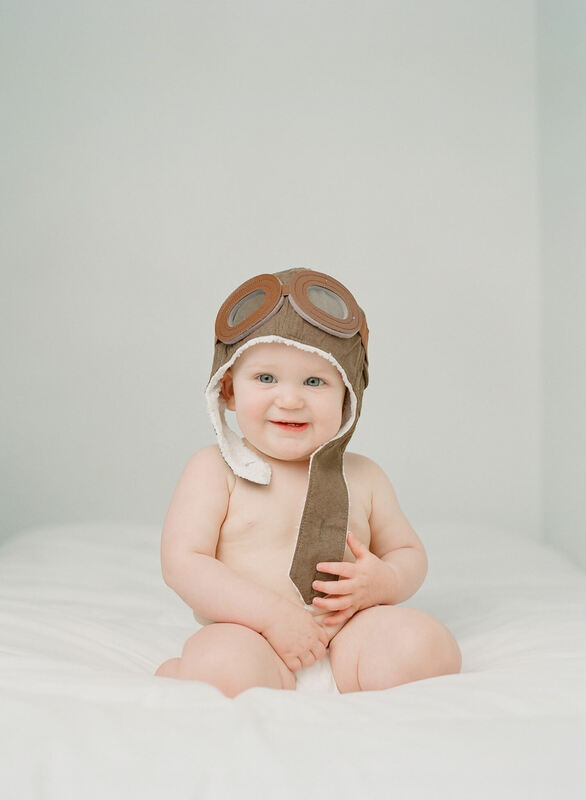 In film photographer Sandra Coan’s opinion there is just nothing cuter than a baby in a Halloween costume! But because they are so little sometimes it can be hard to get a good photo of them when you are out trick-or-treating. That is why Sandra recommends taking your photos at home before heading out. For best results, set your baby up in a safe place like in the middle of a bed or on the floor where there are limited distractions. A white bedspread against a white wall is Sandra’s favorite way of focusing on the costume and the kid. Once you are set-up, just take your time. Being a baby photographer is a lot like being a wildlife photographer, to get the best photos you have to sit and wait for the right moment. Remember to talk to your baby. Sing songs. Interact. Wait for the moment, the perfect smile or expression or even your baby crawling away to show the back end of his/her costume. According to Sandra, another benefit to taking your photos at home is that it frees you up when you are out trick-or-treating. 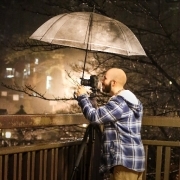 Instead of worrying about getting the perfect shot, you can just go out and have fun! After all, they’re only little once! Celebrate it! Sandra teaches some of her techniques here. Conditions for shooting on Halloween night aren’t ideal, but it’s still possible to make great images if you are patient and know what to look for. 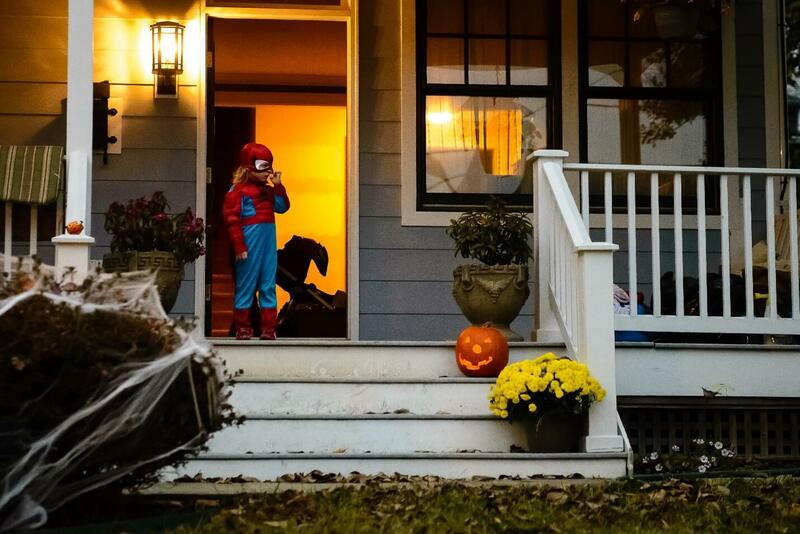 If you want to get good images of children out trick-or-treating or knocking on doors wait for an opportune moment. I always have my camera out and look for decorations that involve some light before shooting my kids on the street. 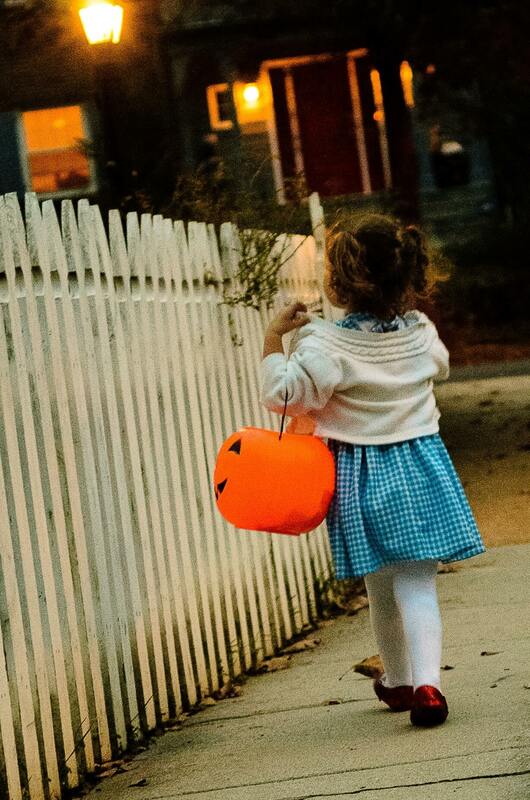 I also always look down the block to check for homes that have bright lights by their doors to wait to capture the kids in the act of getting their candy. In order to be sure I am ready when my own kids get to the spot in where I want to photograph them, I meter the scene off the group just ahead of us to ensure I am ready when my kids get to the right place. Elena Blair, a lifestyle photographer in Seattle, and photography instructor, advises that if you want to capture authentic Halloween lifestyle portraits, remind your subjects (over and over again) not to look at you but to look at each other. This creates authentic connection and facial expressions. Use movement in your posing in well. Capturing connection with movement creates a captivating portrait. If your subject’s costume ties into a certain type of movement, like dancing, twirling, or running, ask them to act like their character. 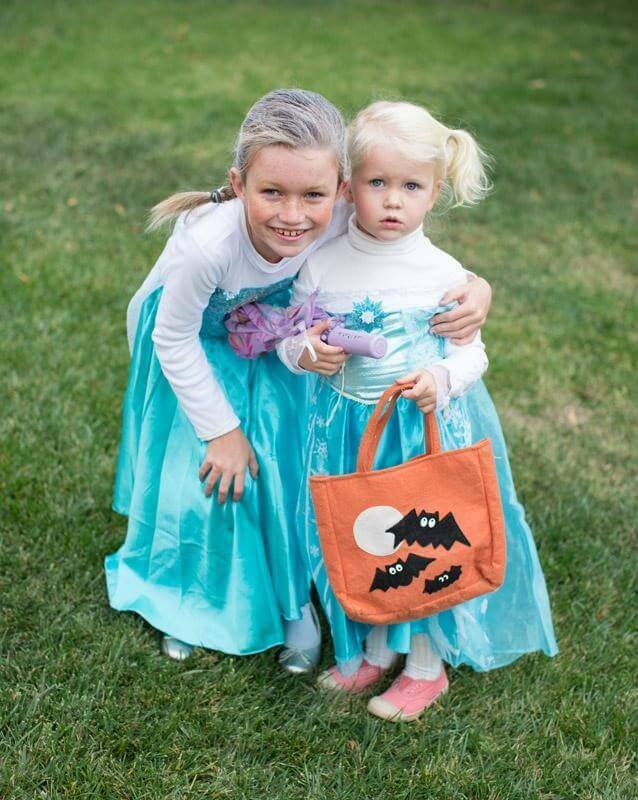 If not, simply asking your subjects to walk together, perhaps in preparation for trick-or-treating, works as well. 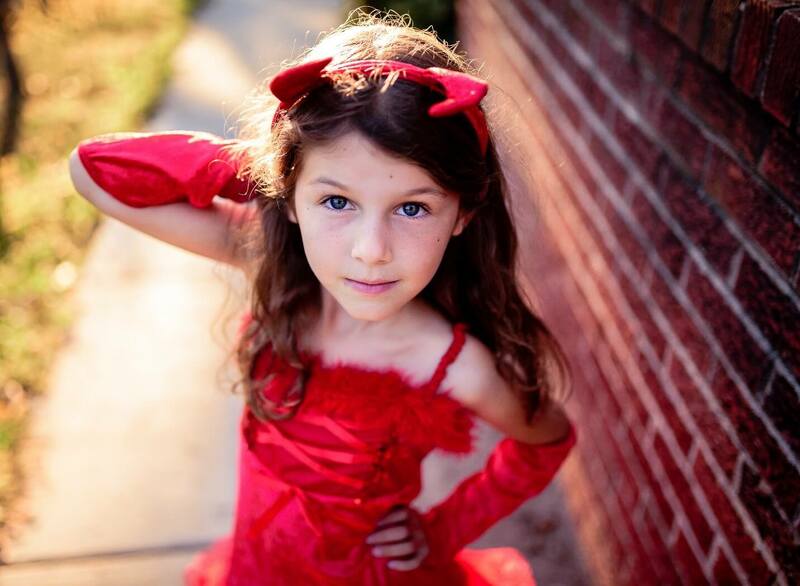 Getting your subjects moving will loosen everyone up and set the tone for fun Halloween photos. These tips can be used with children and adults – and can be used in your family sessions as well. Anything goes on Halloween so this is the time to really stretch your creativity. 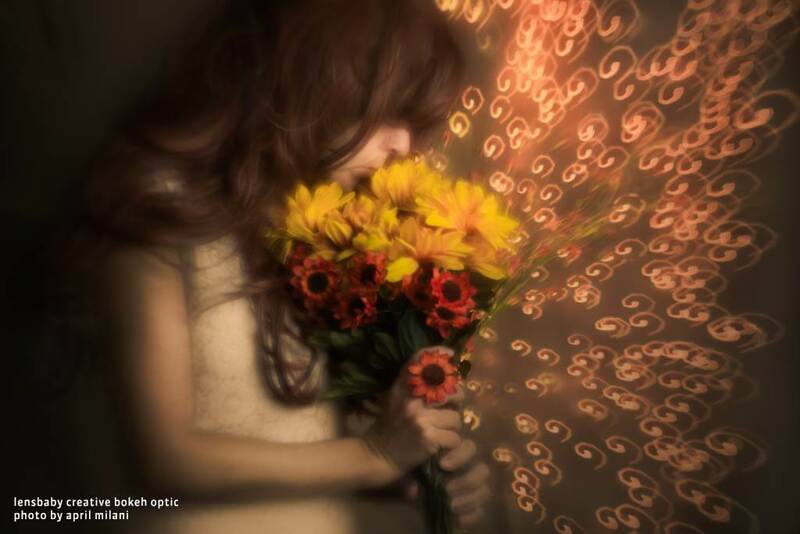 Creative lenses like those from Lensbaby add a unique wow-factor to images that are impossible to replicate any other way. The Velvet 85 and 56 add a glow to portraits and the Creative Bokeh Optic turns your bokeh into stars, hearts, sunbursts, waves, or a design you create yourself. 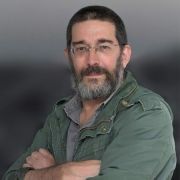 Jamie Davis Smith is a photographer (www.jamiedavissmith.com) and writer in Washington, DC. 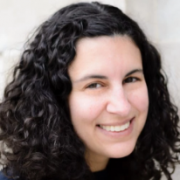 She is a mother of four who usually has her camera in-hand.